Aw, the Valley on a Friday night. A force to be reckoned with. Ventura boulevard is essentially a parking lot and trying to get anywhere on time is kind of a joke. Tonight was a clandestine business dinner with some high-profile power players. One of which, Iâ€™m sure, was packing heat. I was worried someone would order something she didnâ€™t approve of. 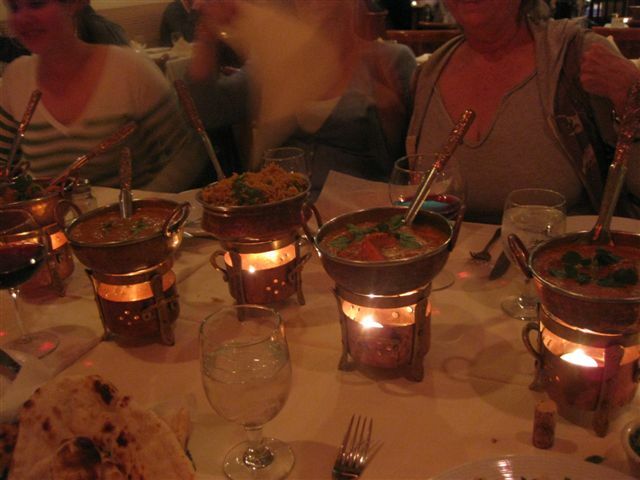 Clay Oven is very upscale for an Indian restaurant. Linen tablecloths, several servers per table. No faded pictures of the Taj Mahal hanging crooked on the wall. 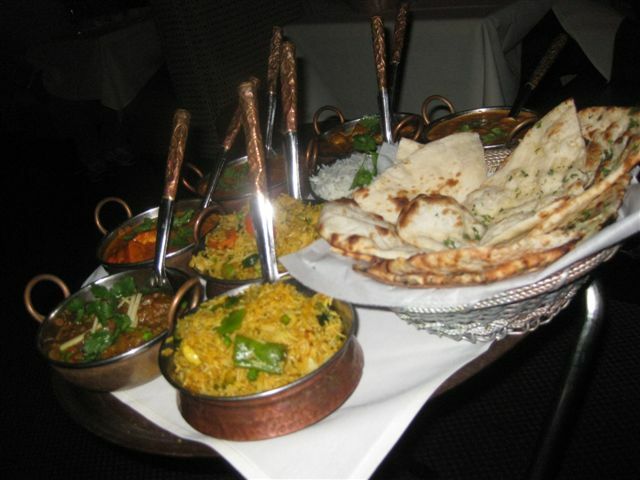 And the food was out of this world! Billy Goat Gruff mentioned my best blogs are the ones where I hate the place. Well, BGG can just scurry off a cliff. Cuz this place rocked. 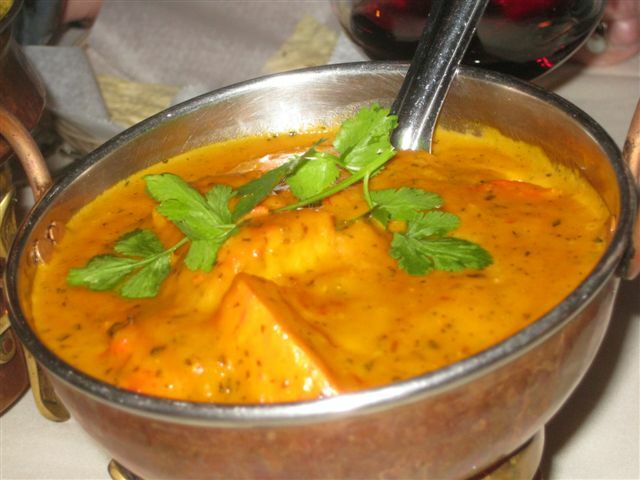 The best dish on the menu was the Mango Chicken Massala! The mango was pureed in this velvety sauce, the result being the perfect combo of sweet and spicy. The Vegetable biryani (basically, Indian fried rice) was fantastic, not just containing a bag of some ghetto frozen veggie medley but real chunks of fresh vegetables. 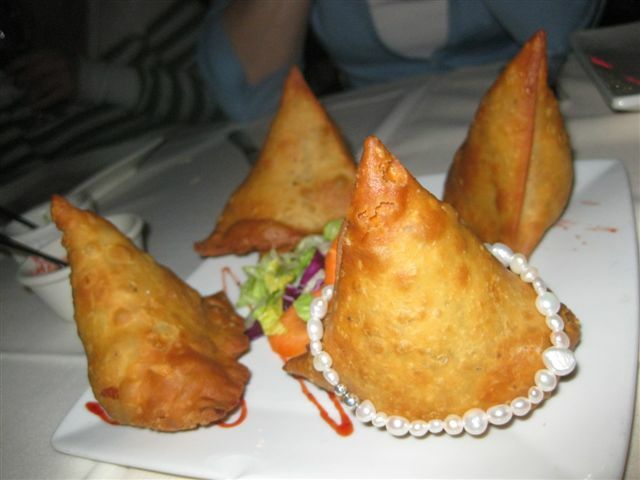 The samosas, pictured below (lovingly with someone’s bracelet around them) were out of this world! Nancy does not like Indian. Even the smell of curry makes this gal run like a racehorse to the restroom. So, this little piggy had none. She just drank her sorrows away and nibbled on white rice.